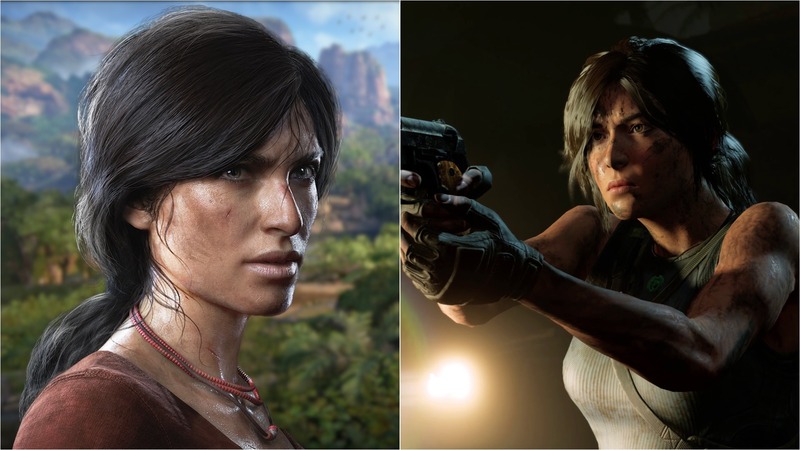 The similarity between Tomb Raider and Uncharted has often been the cause of a bit of friction between the fans of each franchise as they tend to accuse one another of “copying” their favorite game. To be frank, both franchises copied each other at some point (Uncharted when it was first conceived by Naughty Dog and then Tomb Raider with the reboot trilogy). In an interview with GamesBeat, Rich Briggs, Senior Brand Director at Crystal Dynamics, once again reiterated the appreciation Tomb Raider developers have for Naughty Dog’s Uncharted. One of the things that separates Lara is — partly her drive, partly that unique combination of skills I was talking about, the survival action lens we try to view everything through. We look at it as cinematic survival action. The tombs are also a big differentiation. We obviously draw inspiration from movies like Raiders of the Lost Ark. We have great respect for the Uncharted series. Those are games we love playing. I think that Lara has sort of defined this unique combination of being a brilliant archaeologist, having that fast-paced, movement-based combat, her ability to push beyond boundaries that would stop most people. Really, to me, it feels like a special combination. It makes her unique. Shadow of the Tomb Raider is out now on PC, PlayStation 4 and Xbox One. You can find our review here.